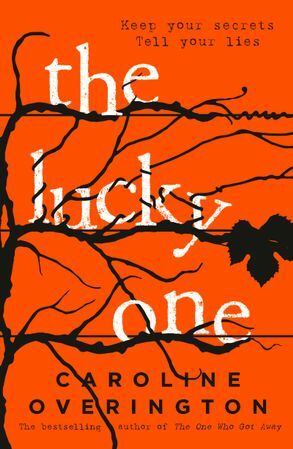 The Lucky One is the first book by Caroline Overington that I’ve read, and it’s a real page turner. Set in modern California, in wine country, the story revolves around the Alden‑Stowe family, their home, Alden Castle, and the estate surrounding it. The patriarch, Owen Alden-Stowe, is a frail widower in his eighties. Of his two children, Jack and Fiona, only Fiona is still living. Jack died in an accident on the estate some years before. Jack’s widow, Jesalyn, is desperate for money; and Fiona and her husband, Tim McBride, are also in dire financial straits. And then there’s the housekeeper, Penelope Sidwell and her family, who have made their home on the estate for many years. So when Jesalyn finds a buyer for the estate, billionaire developer, Pinkhound, it’s a dream come true – for some. Not everyone in the family sees the sale as a good thing. And there are several conditions attaching to the sale, including the main one that Owen must be able to live out his life there. Eventually they all agree to sell, and Pinkhound moves in. But while the Pinkhound workers are digging up the family cemetery (something they weren’t supposed to do anyway) a body turns up. But it’s not an old body that’s been there for decades – it’s a fairly fresh one. And that’s when the problems really begin. As the investigation goes on, family secrets come to light, affecting everyone in one way or another. Eden, Jesalyn’s daughter, and Penelope’s son, Earl, fall in love, a relationship that is frowned upon by just about everyone, for reasons which are revealed later. Another long-lost body turns up, there’s a trial, people are not who they think they are, and, in the last part of the book there is a final, stunning twist that I did not see coming. The book is unusual in that it’s divided into four parts and there are no chapters – something I didn’t actually notice while I was reading it! Part One covers the initial investigation of the case; Part Two is narrated by Eden, in first person (which forms the bulk of the book); Part Three covers the trial, and Part Four reveals the identity of “the lucky one”. This is an intriguing mystery that really had me hooked. I will be reading more of Caroline Overington!